Click here for information on perceiving speech under classroom listening conditions. Classroom Acoustics Standard adopted into the International Building Code. The 2016 edition of these building codes will include specific requirements for appropriate levels to allow for background noise and reverberation. Once state and local building code agencies adopt the A117.1 code all new school construction projects in those jurisdictions will have to comply with this standard. This code also specifies wheelchair ramps, counter heights and other accessibility requirements. Every day, thousands of students across the country are unable to understand 25 to 30 percent of what is said in their classroom. Excessive noise and reverberation in a classroom interferes with a student’s ability to clearly hear their teacher. Before reviewing the standards, it’s important to be familiar with the attributes of sound found in the classroom that affect a student’s ability to hear and learn. The sound of a teacher’s voice traveling directly from the teacher to the student is direct sound. It is always beneficial in terms of speech intelligibility because it is not affected by anything in the room, making it clear and distinct. Reflected sound takes longer to reach the listener than direct sound because its path to the listener is longer. Reflected sound can be good or bad depending on the time delay. The overall effect of reflected sound is called reverberation, and the time required for reflected sound to become inaudible is called reverberation time. Short reverberation times are good for speech intelligibility. Any sound that is generated outside the building, such as playground activity, traffic and planes can be considered background noise. It generally intrudes in the classroom by way of the windows. Within the building, a heating/ventilation/air conditioning (HVAC) system and corridor noise can contribute to background noise. Background noise causes teachers to raise their vocal volume which can, over time, affect teacher health and increase missed days in the classroom (Rantala LM, Hakala S, Holmqvist S, Sala E (2015)). The Classroom Acoustic Standard (US): ANSI Standard S12.60 for Classroom Acoustics (Part 1: Permanent Schools) addresses the issues of both reverberation time and background noise and their effect on speech intelligibility by placing maximum permissible levels on each. Under the new standard, the maximum reverberation time in an unoccupied, furnished classroom with a volume under 10,000 cubic feet is 0.6 seconds, and 0.7 seconds for a classroom between 10,000 and 20,000 cubic feet. The maximum level of background noise allowed in the same classrooms is 35 decibels (dBA). There are also specific criteria for portable classrooms. The standard’s acoustical performance criteria and design requirements apply during the design and construction of all new classrooms or learning spaces of small-to-moderate size, and, as far as is practical, to the design and reconstruction of renovated spaces. At the present time, the new ANSI standard is voluntary unless referenced by a code, ordinance or regulation. However, school systems may require compliance with the standard as partof their construction documents for new schools. A number of school districts are already putting the standard into action. The following publications are free from the Acoustical Society of America. They can be obtained at https://acousticalsociety.org/about_acoustics/acoustics_of_classrooms These wonderful resources provide powerful information about the acoustic criteria necessary for students to be able to learn without struggling to listen. 3. Classroom Acoustics I – A resource for creating learning environments with desirable listening conditions. 4. 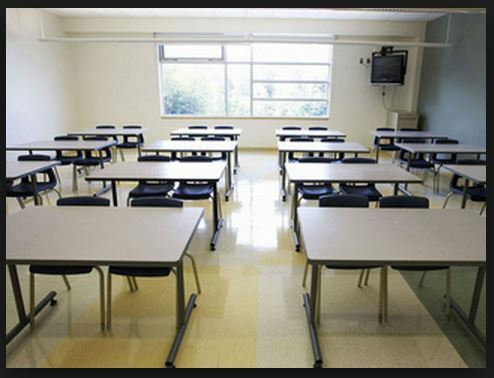 Classroom Acoustics II – Acoustical barriers to learning. 5. Classroom Acoustics for Architects- A companion booklet for ANSI/ASA S12.60. Articles with examples: 1, 2, 3. Note: introduction of sound field amplification (CADS) systems as a measure to improve classroom listening will increase the synergistic interaction of noise and reverberation in the classroom. If the reverberation is above the recommended level in the standard, student speech perception clarity can/will decrease as compared to listening without the amplification of the teacher’s voice. Furthermore, peer-to-peer communication as required by small groups or learning pairs will only be improved by overall classroom acoustic improvements. In classrooms with good acoustic ceiling tile (especially those with acoustic panels on the top of adjacent walls) the angle of the reflective white board surfaces in the classroom can be tilted by placing blocks under the edges closest to the floor so that the sound is reflected into the upper portion of the walls and the ceiling. Another tactic used in schools is to insert the legs of all chairs, desks and tables into discarded tennis balls. These balls are known to cause reactions in students with allergies to latex, which are relatively common. A latex-free option would be Hush-ups. Does the Classroom Assist or Impede the Learning Process? Teachers and students will do their best in an environment that is conducive to learning. A poor acoustical environment will often increase stress and decrease concentration, especially with younger children, students for whom English is a second language, students with learning disabilities and the hearing impaired. It can also contribute to teacher “burnout” caused by the stress of talking “over” the noise. How can reverberation be measured? Use this reverberation time calculation method. This page also provides reverberation time examples that you can experience. If you have a ‘smart phone’ there are also numerous, inexpense applications that allow you to measure the actual reverberation time in an unoccupied classroom. Resource on soundproofing materials to improve reverberation time in classrooms. Note: this is a commercial site and included as an example of types of tools available. This site has a chat feature that will allow you to share information about the classroom and receive recommendations about appropriate modifications and products to achieve the modifications. Inclusion of this information is not an endorsement of these particular products. It is strongly suggested that a reputable acoustical engineer be contacted for recommendations specific to the individual learning environment.